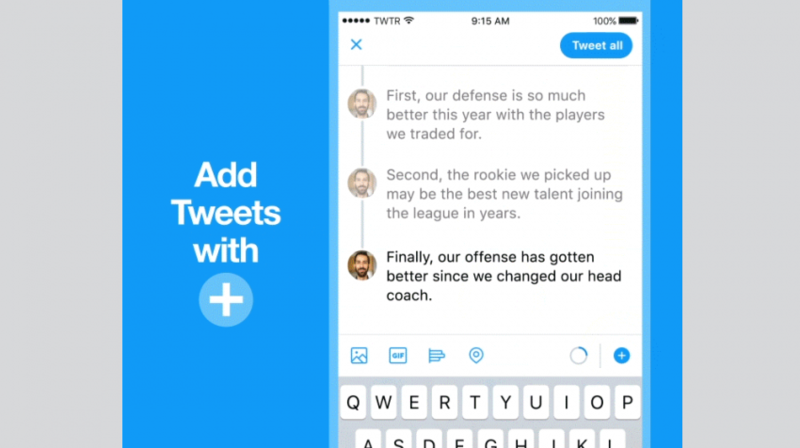 Coming on the heels of expanding the character limit of tweets to 280, Twitter (NYSE: TWTR) announced recently it is making it easier to create threaded tweets. The online social networking company said its new “threads” feature also makes it easier to read or discover all the tweets in a thread. The new ‘Add another Tweet’ button also makes it possible to fire off an entire “tweetstorm” all at once. A tweetstorm is basically a series of connected tweets published in a row that have become a popular workaround for getting past Twitter’s character count limitation when sharing longer thoughts. The ‘@reply’, Retweet, and hashtag were used to stitch a series of tweets together to share more information or tell a longer story. Twitter says pressing “Add another Tweet” button in the composer is a much simpler way to thread Tweets together. “Additionally, it’s now simpler to spot a thread — we’ve added an obvious ‘Show this thread’ label,” Reddy added. We’re introducing an easier way to Tweet a thread! With this update, small businesses that want to stay top of mind can more easily send out a tweetstorm to inform customers about a new product, service or just to engage fans on social media. Tweets on the same topic will be easier to discover and come across to followers as more cohesive messages. Twitter said it is rolling out these updates to everyone on iOS, Android and Twitter.com in the coming weeks. “Make sure to update your app to check it out,” Reddy said.